This giveaway is now closed. The winner, chosen by random.org is comment number 54, Grace Ann. Grace Ann. Congrats Grace Ann! Please contact me within 72 hours to claim your prize. Note: If winner has not claimed prize within 72 hours then a new winner will be notified. It’s Monday. I’m exhausted. How ’bout a giveaway? Yup. Sounds good to me! But first, the winner of last week’s My Memories Digital Scrapbook Software giveaway (chosen by random.org) is comment number 4. Congrats Dana! Please email me within 72 hours to claim your prize. Note: If winner has not claimed prize within 72 hours then a new winner will be notified. Looking to spice up your weekly dinners or sweeten your next family gathering with an extra special dessert? Bake-Off.com now has 100 new recipe creations from Pillsbury Bake-Off finalists from across the country. Whether you are in the mood for Breakfast & Brunches, Entertaining Appetizers, Dinner Made Easy, or Sweet Treats, Bake-Off.com has tons of new ideas that are simple to make and sure to wow your loved ones. 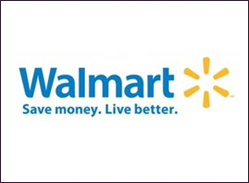 Don´t forget to check everydaysaver.com/Walmart before you head to your nearest Walmart to find additional coupons and offers. 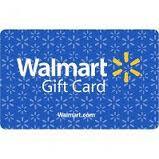 To celebrate Bake-Off.com I have a $25 Walmart gift card to giveaway to one lucky Kitchen Concoctions reader. 1. Leave a comment on this post sharing which recipe listed above you would like to make. After the giveaway is over I will make and share the recipe with the most comments (votes). This give-away closes Monday, March 26, 2012 at 11:59 PM CST. Winner will be chosen at random (by random.org) and will be announced sometime shortly after the give-away ends. Winner must contact Kitchen Concoctions within 72 hours at kitchen_concoctions at hotmail dot com to claim prize. If winner has not claimed prize within 72 hours then a new winner will be notified. Giveaway for US residents only. I'd like to make Hazelnut-French Silk Turtle Pieヅ *Thanks* for the giveaway! I am obsessed with cinnamon rolls recently. I am going to have to make the chocolate & caramel-cinnamon roll skewers. Hazelnut-French Silk Turtle Pie sounds wonderful! Marmalade-Glazed Asian Meatball Cups sounds good. I would make the Carrot Cake Tart. The Caramelized Peach Upside-Down Coffee Cake recipe sounds and looks really good! thanks! I think the Chocolate and Caramel-Cinnamon Roll Skewers sound good. I like Kitchen Concoctions on facebook (Jessica Todd). I would love to try the Caramelized Peach Upside-Down Coffee Cake. The Hazelnut-French Silk Turtle Pie sounds scrumptious. The meatball appetizer sounds great! I want to try the mango bites. The Marmalade-Glazed Asian Meatball Cups would be great at our next party. I'd try the Smoky Onion-Custard Tarts recipe. The mango appetizer sounds great.